Dumbing Down The Sound: Madonna's Disastrous Effect on Music & Pop Culture: Sezen Aksu- Turkish queen of pop. Many Madonna fans often claim that she did everything first. 'She was the first person who talked publically about important world matters.' or so they say. 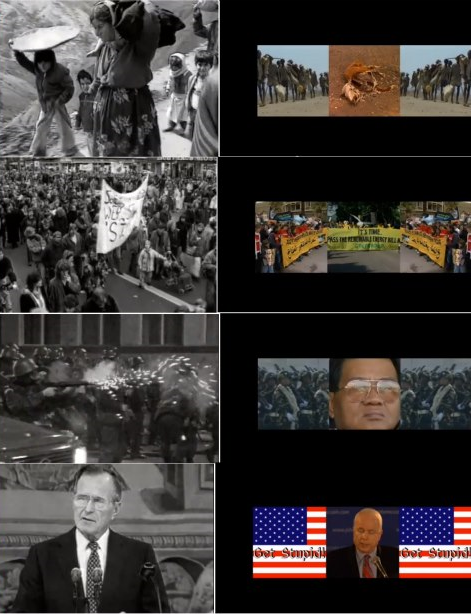 As we can see, Sezen raised war, hunger and its effects matters long time ago- in 1991. 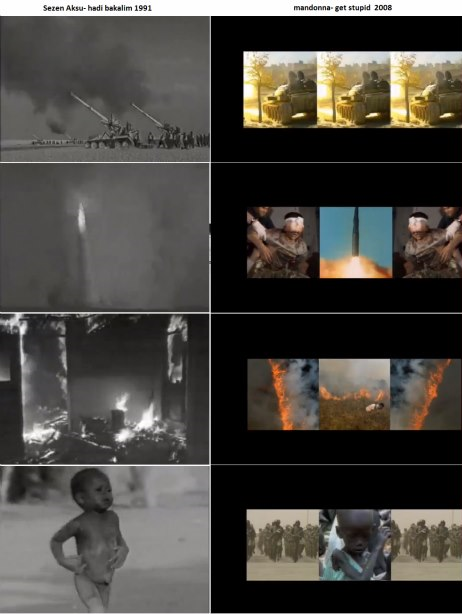 In a backdrop from 'get stupid' Madonna showed exactly the same things as Sezen- tanks, rockets, fire, hungry children, migrating, protesting people, politicians etc. Coincidence? I don't think so, especially if we know the fact that music for song 'she's not me' is stolen from Sezen's 'yaz'( from 0:30). That sample was even listed on whosampled.com for a long time but was removed by Copydonna fan. You are right Madge, Sezen is not you and never will be, because she never stole and never will.